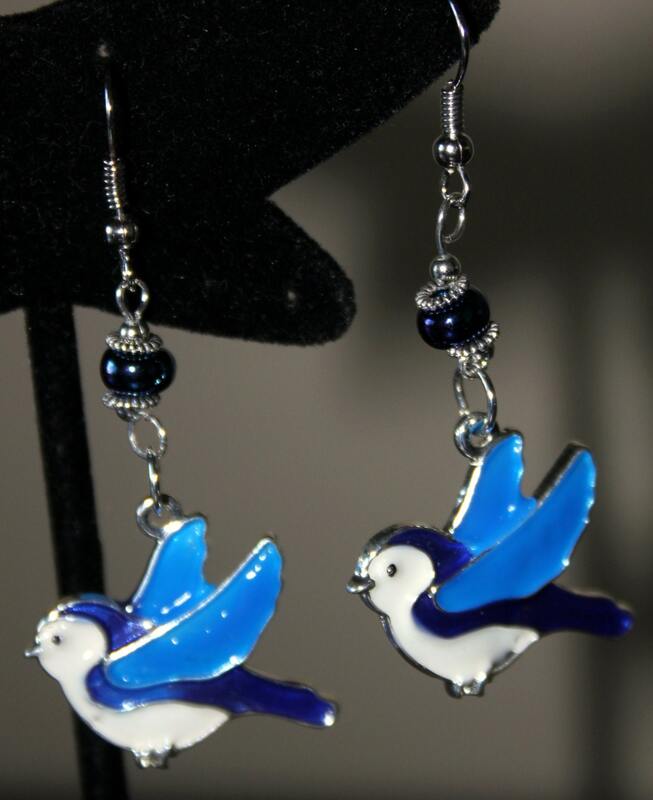 These cute little birds were enameled by me. 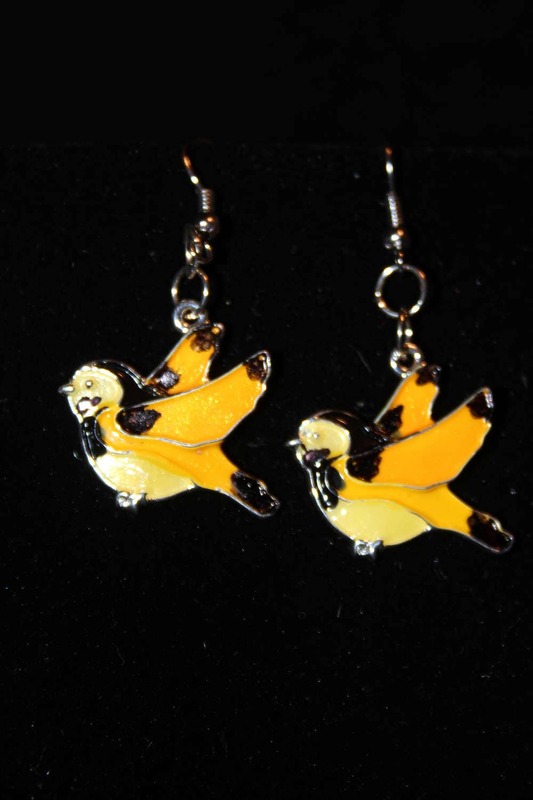 There is a blue bird pair of earring, a chickadee pair and a gold finch pair. The blue bird has a dark aquamarine accent bead and sterling spacers. 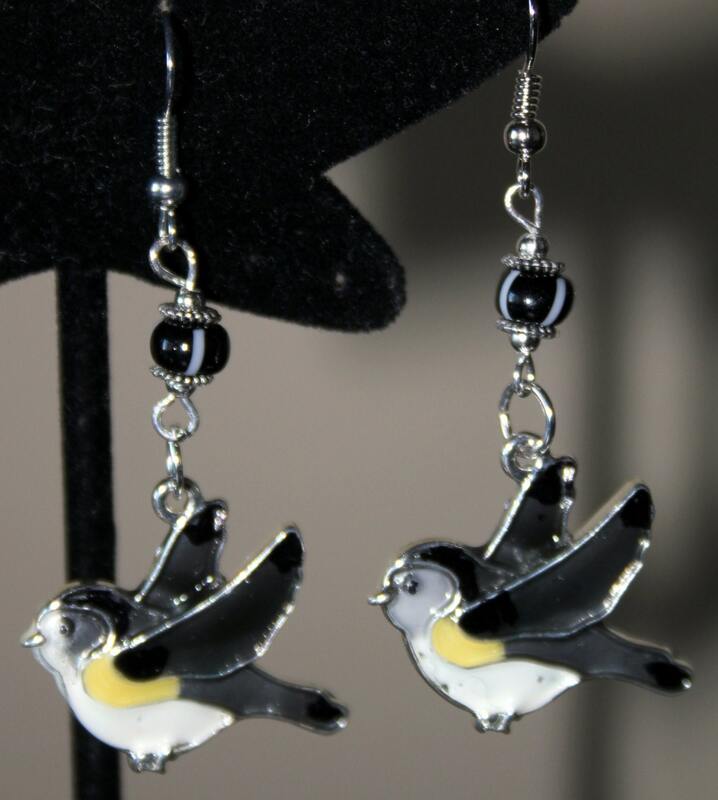 The chickadees have a black and white striped ceramic bead and spacers. The gold finch has a deep yellow body and black accents on their wings and tails. All are hung from silver toned niobium French hook ear wires and are 2 inches long from the top of the hook to the bottom. They are light and have lots of movement. Please pick the pair you want in the order box.